When you begin to photograph in the studios, you will soon become very acquainted with our fourth floor cage, which is full of extra gear strictly for use in the studios. 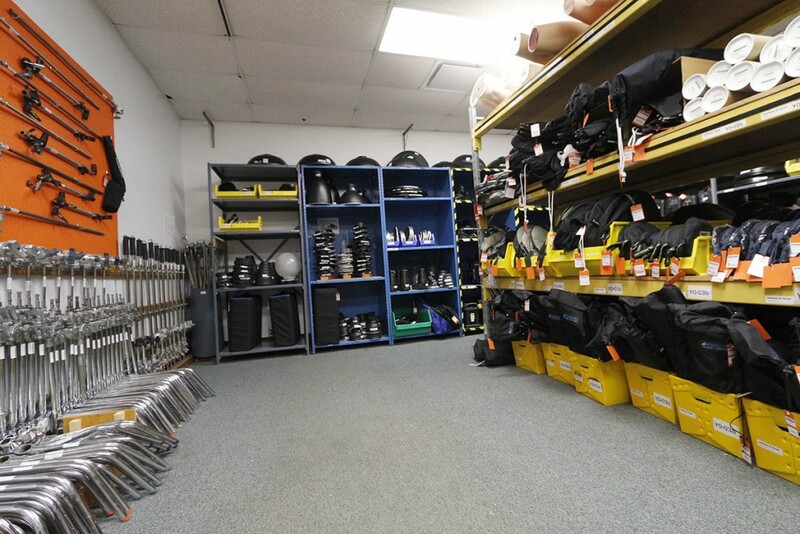 We have extra lights, power packs, and a full host of “grip” equipment to help you with your studio set up. You will also find on the fourth floor, is a dressing room, complete with running water and make-up mirror, and we even offer a storage room for seamless backdrops. (Please note: we do not manage the seamless storage room, storing your seamless is at your risk).